If you are a business owner who wants to ensure that your company builds a strong online presence that results in increased conversion rates, your exposure to the world of internet marketing may have led to a pertinent question: “How can social media increase my business?” Below you will find a basic outline of what social media is and how the implementation of social media marketing strategies can help your business experience ongoing growth and expansion. Although the term “social media” is used broadly by Internet marketing experts, it basically references online channels that are used for the purpose of connecting with other people to exchange ideas or do business. There are a plethora of social media channels available, and some of the more prevalent ones include Twitter and Facebook. Because they have the potential to be extremely interactive, some people also include blogs under the umbrella of social media channels. 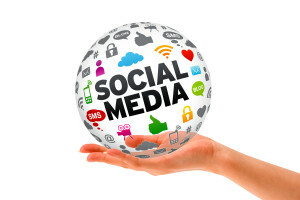 How Social Media Can Increase Your Business? While the word “branding” means different things in different circles, authoritative organizations such as the American Marketing Association (AMA) define it as the icons, mottos, texts, pictures, and other graphic design elements that are used to build a distinct, unified image for a business and its goods or services. Branding is an important aspect of marketing for many reasons, including the fact that it functions as the medium through which prospective clients gain information about a specific business and learn to distinguish its goods and services from those offered by competitors. Social media channels such as Twitter present business owners with several great opportunities to build their brand, such as the creation of an account and profile that make use of wording and images that are consistent with the established marketing efforts. When done consistently, this branding work can help a business increase its conversion rates. SEO, which is an acronym for search engine optimization, is a form of Internet marketing that involves employing specific strategies to ensure that a business’s website, blogs, and/or videos attain a competitive ranking in the search engine results pages of major engines like Google, Bing, and Yahoo. There are several strategies that are employed to accomplish this objective, such as content creation, anchor text optimization, keyword analysis, and link building. SMO, which stands for social media optimization, also constitutes a form of SEO that can be used to increase a business’s visibility and authority on the Internet. Some SMO strategies include tweeting links to a business’s product pages via Twitter in order to redirect prospective clients to those pages to stimulate conversion. When these types of SMO strategies are employed consistently, businesses gain visibility and popularity in the online world, and this translates into search engines like Google granting them higher listing in search engine results pages. One of the greatest benefits that results from businesses using social media marketing strategies to boost conversion includes the fact that this strategy can cause the company to go “viral”-meaning that it gains a high level of visibility in the online world very quickly. There are many strategies a business can utilize to accomplish this objective, such as becoming known as the company that hosts weekly contests via Facebook that always feature free promotional prizes. Since these types of contests can be put together without utilizing a lot of time and money while offering a great return, they are a prime example of how social media can increase a business’s profits, visibility, and authority in the online world. If you are a business owner who wants to ensure that your company accomplishes all of its professional objectives, you should know that social media can be appropriated to help you attain this goal. In attaining an answer to the important question “How can social media increase my business?,” you can begin moving forward with a social media marketing strategy that will help you develop the expanding customer base and increased conversion rates you want.